What is the function of a creative brief and why is that important? Before we delve into the dogma of what separates the good, the bad, and the ugly of creative briefs, it’s important to understand what a creative brief does (or tries to do), so that we can align our “best practice” principles with a clearly defined goal. It is essentially the core of the project, and should be designed to inform each stage along the creative process. From the very beginning of the project, due care should be taken to ensure the brief is as effective as possible at achieving these simple, yet crucial goals. Now the function is clear, it’s time to move to address the typical components you’ll find within a creative brief used to organize information towards that function. A well-written creative brief should include a wealth of relevant information, organized clearly, and without excess. That’s all well and good for understanding what to include in your brief, but equally important is how you structure that information. Even if you have all of the information listed above, it doesn’t necessarily mean your creative brief will be a good one, because it still might be difficult to read, and ultimately use, for your team. So, as you pull your brief together, keep the following tips in mind to make sure it’s as useful as possible. You must assume that your team, and everyone who will be reading the brief, knows absolutely nothing. This doesn’t mean they have unlimited time, or are super-intelligent, so you still have to keep things brief, and simple, but the point here is that you need to be rigorous in laying the complete situation out in front of them, as clearly as possible. Focus on both the big and small picture issues, and synthesize everything you know (from all of the disparate conversations and meetings with stakeholders) into a concise, comprehensive brief. Someone just joining the team should be able to look at your brief and understand everything they need to know. For a web design team, the problem isn’t “how do we make a website” as much as it’s “how do we make a website that meets this client’s needs, and is the best solution to their problem”. Thus, figuring out how to solve these problems is pretty much the whole point of the creative brief. All decisions should be informed by the established primary goals and objectives, so it’s crucial that everyone is crystal clear on exactly what they are. Give your teammates the respect they deserve and spare them a novel where a sentence would have sufficed. Too much information is often worse than no information; it’s up to you to make executive decisions about what to include in your brief. Trim the fat: cut down your brief as much as possible without impacting the core information. Use headers and bullets to make it easier to read, and remove filler words. You’ll be surprised by how much you can remove without making a difference to the message. Every word counts. Use as little jargon as possible. You’re not writing a technical paper, nor are you writing a clickbait headline. Important concepts must be easy to grasp by everyone reading the brief, so plain language is always preferable. If you’re forced to include confusing content, be sure to spend time on it when going through the brief to ensure your team understands everything before moving on. Or third, or fourth, etc. Having another pair of eyes check your brief can be invaluable – not only will you be less likely to miss common errors, but you’ll likely gain useful insight you wouldn’t otherwise have thought of. This principle extends to being as transparent as possible during the writing and editing process. If you open up the floor to comments and feedback at as many points along the way as possible, you’ll save time versus asking for a single, big round of feedback at the end of a large draft. Plus, the longer you go between feedback from invested parties, the higher the risk that you’ll have to undo a larger amount of work when they decide they don’t like the direction you’re taking things. And this goes both ways; whether you’re writing a brief for your client, or hiring a designer to create XYZ, make sure to over-communicate everything and be vigilant in seeking and providing frequent feedback. Perhaps the most important point on this short list, devising a process for your creative brief writing will allow you to synthesize everything you know and have learned about creative brief writing into a reliable, standardized procedure. With a process for writing, you can expect a higher quality of output, fewer human errors, and time saved from having to “figure out how to write the damn thing” each and every time around. A good process utilizes many of the same elements listed here: clear, concise writing, set out unambiguously with clearly actionable tasks, in order to solve or do something specific. 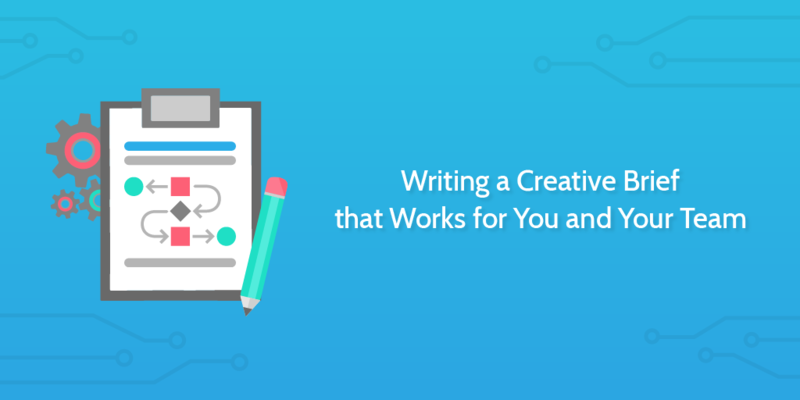 There are a number of ways you could develop your creative brief writing process. You could write each of the most important tasks out on paper, and cross them off as you go, or you could do the same thing in your text editor of choice. You could even invest in one of the weighty, expensive BPM software solutions to try and do everything for you. 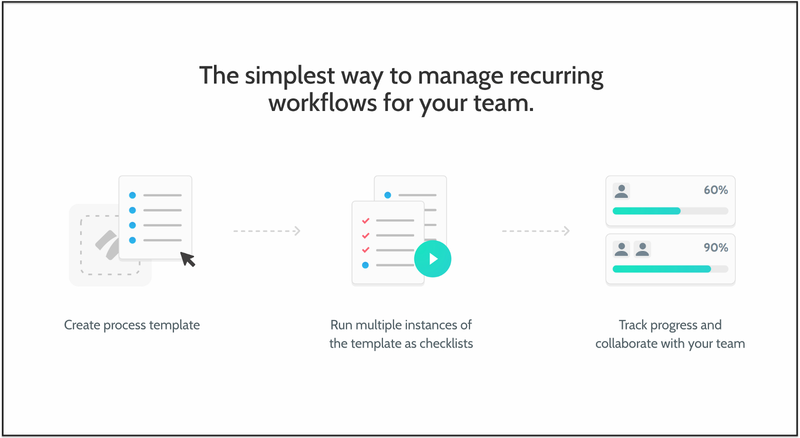 Or you could use Process Street, a tool that makes editing recurring processes fast, fun, and simple. With Process Street’s intuitive and easy-to-use interface, you’ll be able to map your process out as checklist templates in no time. The fact that editing templates is so easy means you can quickly iterate new checklists, making your briefs (and the process for writing them) more robust and able to adapt to last-minute project pivots. With Process Street’s form fields, you can build intricate and information-rich processes that you and your team will love to use. You can even share them with your team, assign tasks and collaborate on editing templates. Below, I’ve listed a number of templates that highlight a solid process (or sub-process) for creative brief writing. Check them out, and hopefully you’ll be able to use them to inform your own process. Of course, there is no “one-size-fits-all” creative brief process, because the requirements for each will change depending on the project. However, by following the best practices outlined above and considering the creative brief writing process as part of a discourse between all parties involved (client, all teams involved, relevant management, etc. ), it’s possible to build a robust, adaptive process for creative brief writing. Many of the design checklists listed below represent different creative brief use cases and contain agile sub-processes for creative brief writing that will give you a good idea of how to approach writing and structuring your own. If you’re interested in learning more about these checklists, check out the full post on the web design process. While not as complex as this diagram which situates the creative brief in the wider context of the general strategic process, it is an example of thinking of the creative brief writing process as a feedback loop, or a “living document”. In this sense, using a process of feedback to constantly fine-tune and improve the brief means you wont have to worry about figuring out last-minute changes, or pivoting focus, because the process will already have this accounted for. Process Street templates can also be thought of as “living documents” in the sense that they are designed to be tweaked and changed on-the-fly. This is important for adaptability, but is also the crucial enabler of all other key components. The ease and agility of making edits to templates is what makes Process Street so strong in facilitating changing forms of collaboration. Business process automation helps you reduce human error and improve efficiency by automatically sending data from one app straight to another. With Zapier, Process Street integrates with over 1,000 apps, and it’s likely that you’re already using one of them. Better yet, it’s free to get started! Sign up in just two minutes. If you’ve ever thought about how you could automate those tedious manual tasks at work, then you should definitely check out The Ultimate Guide To Business Process Automation! It’s the perfect resource for you to save time and money by automating as many of your business’ processes as possible. Anything from basic tasks like saving Gmail attachments, to shipping your Salesforce leads into MailChimp, this Ultimate Guide will help you through setting up the perfect automation control station. Have any advice on creative brief writing? Let us know in the comment, we’d love to hear from you. Thanks for the article. I’m looking for a template to start from as recommended for writing a creative brief, but I’m not finding one in Process Street. Do you have one you can share? Thanks!